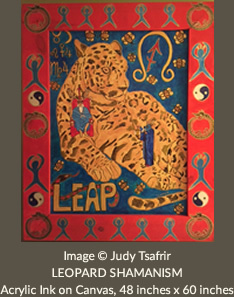 ART: Accelerated Resolution Therapy | Judy Tsafrir, M.D. Accelerated Resolution Therapy, which goes by the acronym ART, is an efficient, effective and creative technique for treating trauma, chronic pain, stress and a variety of psychiatric conditions such as phobias, OCD and depression. The woman in the picture is Laney Rosenzweig. the originator and founder of this method. It is being used successfully in the military to treat PTSD, but its applications are much broader than for treating only trauma, including some surprising successes for conditions like fibromyalgia. There are several studies underway comparing this methodology to other common approaches, as well as published papers in The Journal of Military Medicine, and I expect that we are going to be hearing much more about it. The beauty and uniqueness of ART rests not only upon how remarkably quickly symptoms are resolved, usually in 1-5 sessions, but also upon the prominent role which the imagination and metaphor plays in the healing process. Practitioners are instructed to carefully adhere to a standardized multi step script that has been precisely and thoughtfully crafted and the patient follows the directions. Attention is paid to bodily sensations in between privately imagining scenes. If the sensations are distressing they are removed, and if they are pleasant or positive they are amplified. At each step the patient follows the practitioner’s moving hand to stimulate smooth pursuit eye movements, which is one of the elements through which the magic of ART occurs. Ultimately the patient visualizes a wished for scene and outcome. This method of voluntary positive image replacement is one of the key features that distinguishes ART, and is at the heart of the success of the method. 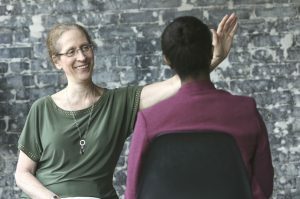 Laney has also drawn upon Gestalt therapy techniques, where a patient might recruit earlier selves or imagine wished for conversations with relatives as part of the healing process. A session can usually be completed in an hour. ART uses smooth pursuit eye movements, similar to the rapid eye movements that are present when we dream, which reconsolidate memories. ART is loosely related to EMDR, Eye Movement Desensitization Response, in that both make use of eye movements, but differs from it in fundamental ways. Laney has said that ART goes way beyond desensitization and actually “POSITIVIZES” memory. The technique uses voluntary replacement imagery generated by the patient herself to change the affective relationship to memory. ART is not hypnosis. The brain waves generated by the two methodologies are quite different. A patient does not lose the knowledge of what occurred, but the memory loses its negative adverse charge. One of the unique features of ART is that it is not necessary for the patient to share much of their internal process with the practitioner. There is no need for the patient to “tell their story again”. The scenes can be played out privately. Similarly, practitioners are not as likely to experience “compassion fatigue” as they are accompanying and guiding the patient and facilitating the process, but not exposed to the painful material in the same way as with EMDR or other existing modalities. There are three criteria that are essential for ART’s success. An individual needs to be able to hold onto thoughts for the duration of the session, needs to be able to move their eyes, and has to be motivated. This last caveat is the most complex. My training in psychoanalysis has sensitized me to unconscious factors such as unconscious guilt and other conflicts and inhibitions that create resistance to change. And of course there is always the possibility of secondary gain when it comes to illness. I have only recently been trained in this method, but I think it shows promise and will offer it to patients who are interested in trying it.